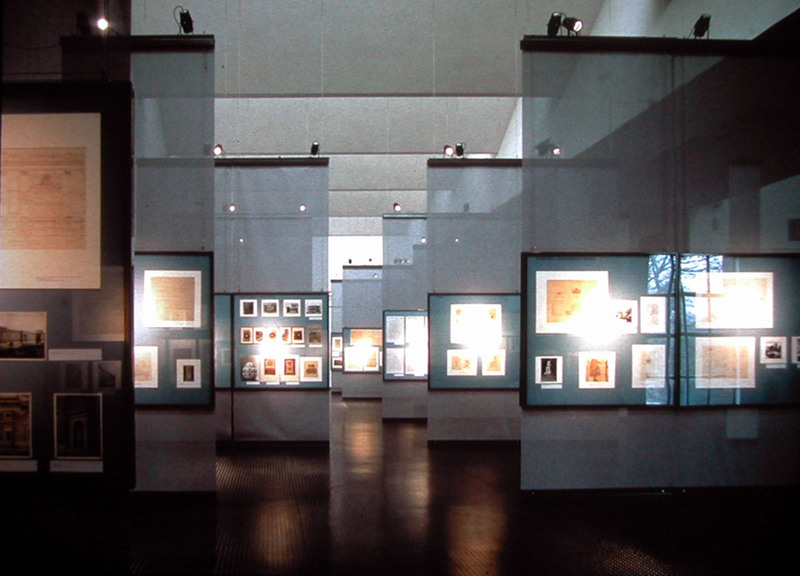 The design of the exhibition has been developed in the area called “cube” on the first floor of La Triennale Design Museum with a specific attention on exposing the value of the building that hosted the exhibition. 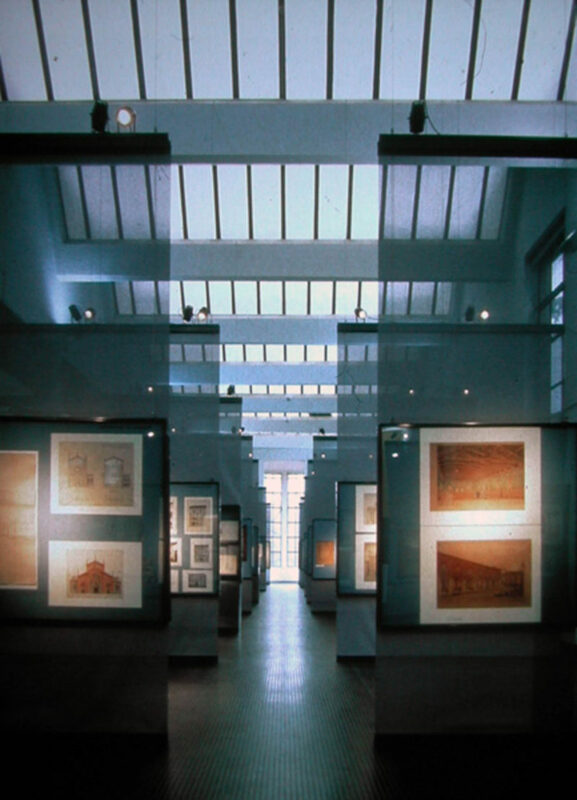 In order to avoid the banal construction of the gypsum boards an attempt was made to recreate the feel of the Galleria dei Ritratti of the Pinacoteca del Castello (historic exhibition of the studio Albini). 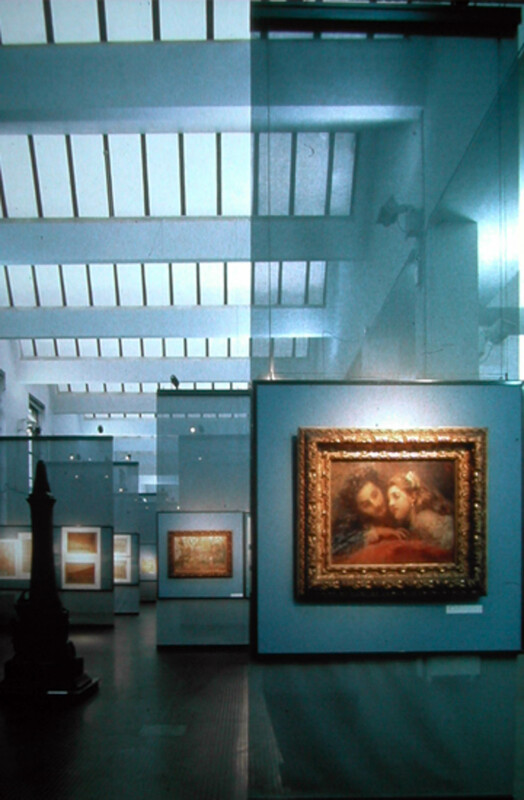 Using a constant rhythm with the distances of the roof windows, where natural light permitted the perfect illumination of the objects of the exhibition, were been hung a series of netted semitransparent curtains with a system of aerial and pavement beams. On these curtains the shop-windows were attached in varnished carpentry that contained the original designs of the architect that changed Milan at the turn of two centuries. The light system was positioned on the aerial beams with the target of integrating natural light coming from the roof windows. 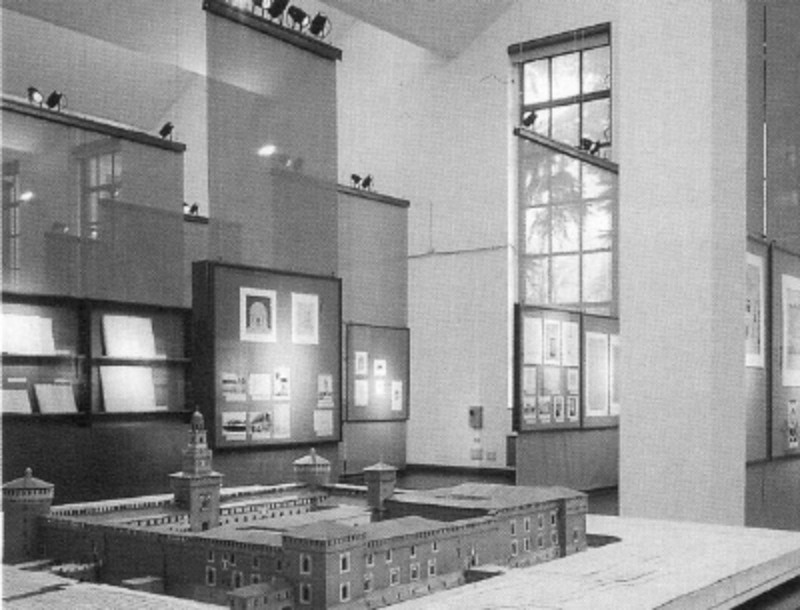 The result of this was an optical effect with a high degree of transparency that permitted the interpretation of every single shop-window as well as the interpretation of the whole exposition at a glance.